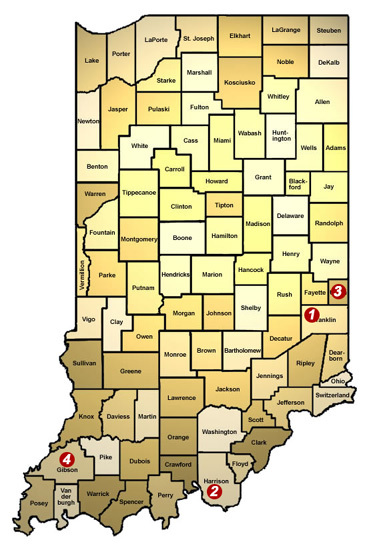 Below is a list of historical landmarks that are located in Indiana and that are unique to Baptist history. This is a beautiful old church building that IS THE OLDEST CHURCH in Indiana, which still remains on its original foundation. There is grounds to have a picnic and a local town nearby to shop or dine. In the year 1798, Silver Creek was the very first Baptist church constituted in the territory later to become Indiana. The building here is not the original but is however one that was erected by the original members and remains intact. It is located next to a small cemetery "Silver Creek Cemetery". The grounds do offer an area to enjoy a picnic.